Tagged under Bishoujo Senshi Sailor Moon, Codename: Sailor V, Husbando, Cats, Mascots. 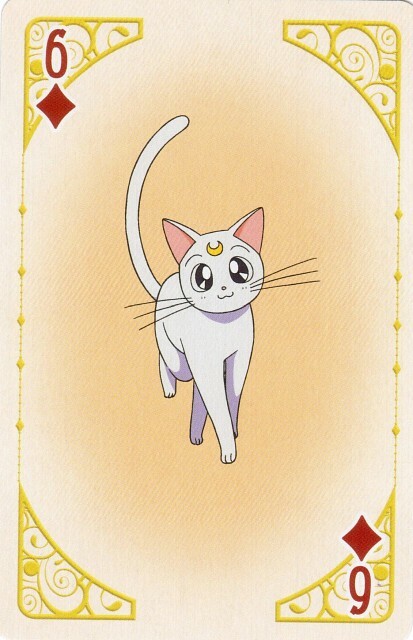 Artemis has been Minako Aino's companion ever since her days as Sailor V, long before they joined the Inner Senshi in the quest for finding the Princess and protecting Earth. Artemis and Minako resemble each other a lot in terms of laziness and naivety, and he remains a very close friend and advisor to her. Aside from Minako, Artemis gets along well with Luna, even though she sometimes calls him out on his laziness and cowardice. Like Luna with Usagi Tsukino, Artemis ran into considerable hurdles in trying to get Minako to be more mature and take her responsibilities as a Senshi seriously.